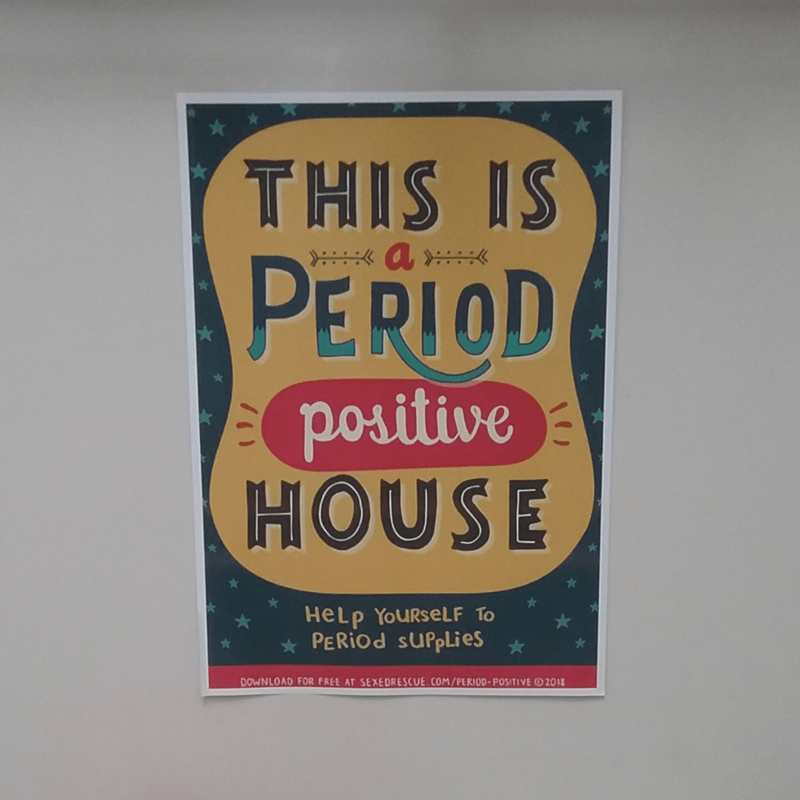 Do you live in a period positive house? My 12 year old daughter had a wonderful idea about how we could make our home period positive. It was such a good idea that I casually mentioned it in my weekly newsletter. And I was surprised by how many emails I received back from parents thinking that it was such a good idea, that they too, went off with their daughters (and the odd son too) and made their house more period positive too! So, I thought I'd share it with you too! My daughter started high school (or middle school) this year, which means that we needed to start getting her school stuff organised. And along with all the school books and stationary, we needed to squeeze in her period kit, which we had built the year before. Now to date, her period kit spends more time in my box of period supplies for my business, and usually only gets pulled out if I need to take a photo of it for a blogpost! My daughter is only just starting to show some signs of puberty, which means that she hasn't really needed it before now. But she agreed, that maybe she should just keep it in her school bag since it might come in handy for one of her friends. 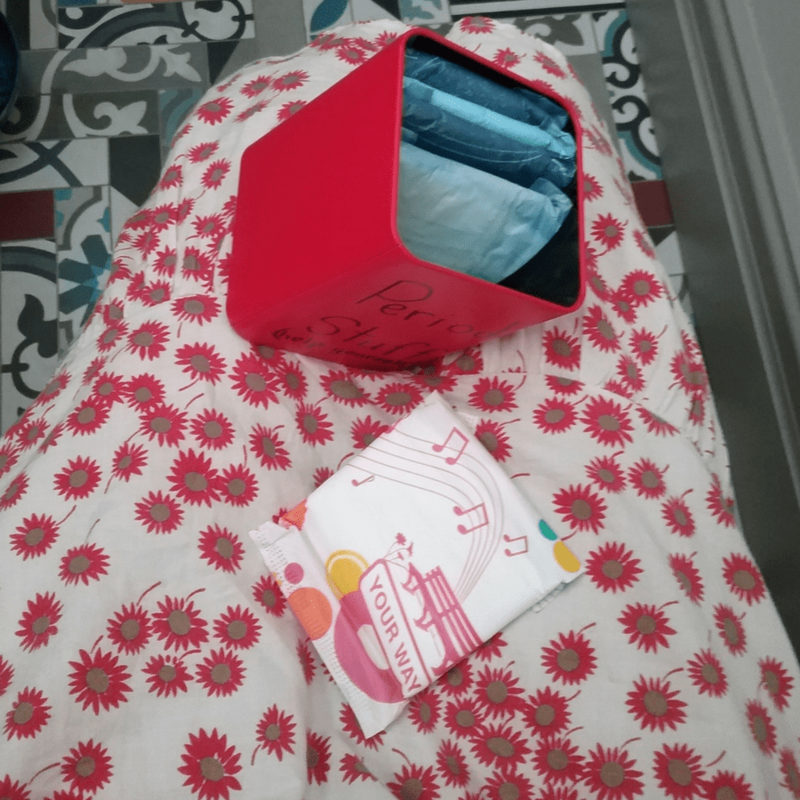 So while we were checking that the contents of her period kit were suitable for her, she asked me whether we needed to start putting some pads in our upstairs toilet(which is the one that most guests use). I agreed that it was a great idea but that maybe we could wait until she had actually started her periods. But what about her friends? What if they were visiting and started their period or needed to change a pad? Shouldn't we keep some period supplies in our toilet? Just in case they were too embarrassed to ask for some? 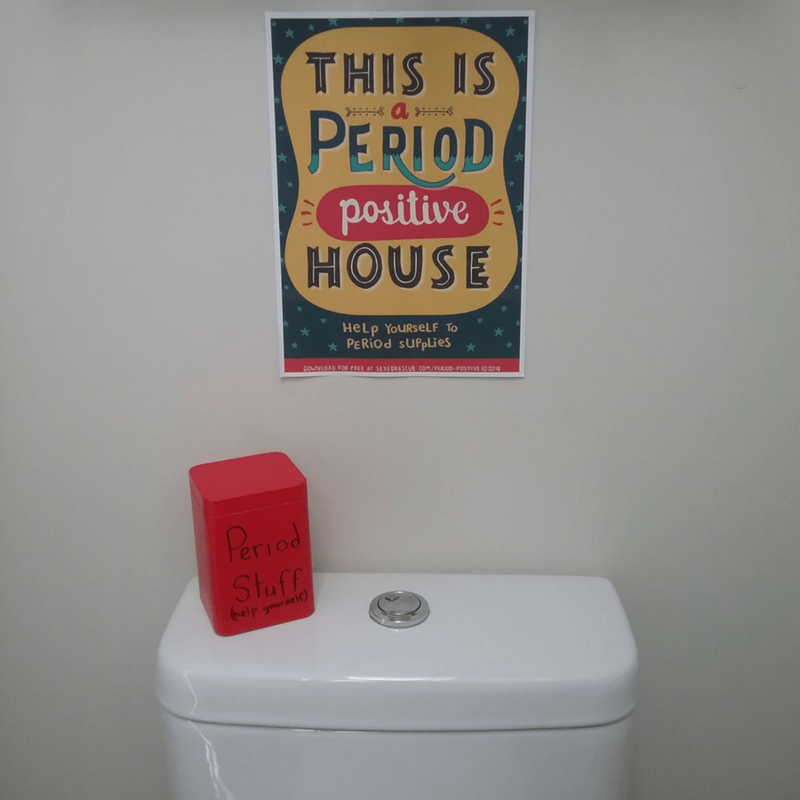 I thought it was a great idea, and so we got to work and turned our guest bathroom into a period positive space, through the simple act of making period supplies readily available for visiting menstruators! What does period positive mean? Chella Quint is a menstruation education researcher, artist and performer from England. She founded the #periodpositive project to promote accurate and shame-free menstruation talk for schools and individuals. #periodpositive is a movement to educate ourselves and others on shame-free menstruation talk, and break the cycle of secrecy, fear and misinformation about menstruation that leads to negative consequences like period poverty (not being able to attend school of leave the house because of menstruation). ​​https://www.facebook.com/SxEdRescue/​​​So, period positive it is about having a positive-attitude towards menstruation. And as parents, it is up to us to help our daughters to grow up with positive feelings about menstruation (unlike the negative memories that many of us have of our own journey through puberty and adolescence). So something as simple as providing period supplies means that you are making menstruation management accessible in your house. Plus you are talking about menstruation openly and with out shame. Powerful messages from just one small thing! 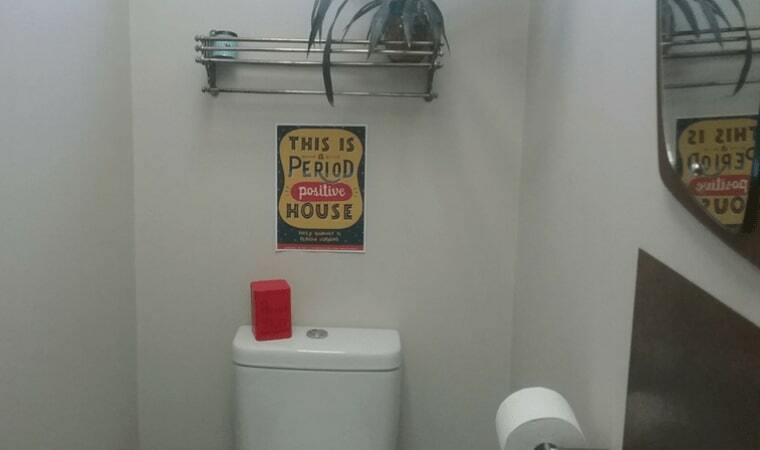 So what do you need to do to make your house more period-positive? Well, you find a container, stick some period supplies in it, place it in your bathroom and advertise it (within your bathroom). It's that simple. Plus it is a great mother-daughter activity that you can do together. 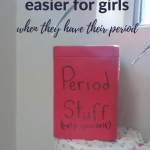 Or if you only have boys, why not use it as an opportunity to talk about periods, and about the fact that some of the girls visiting your house will now be menstruating, therefore it would be helpful for them if you made your bathroom period positive. This is how we made our house (or bathroom/toilet) period positive. You'll need to find a container in which to store your period products. 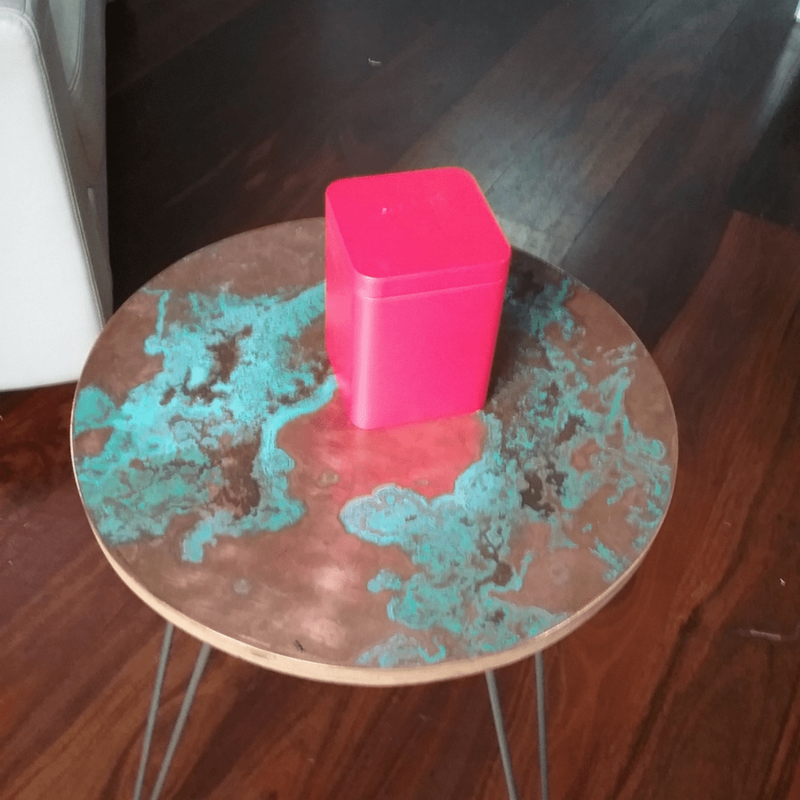 For our period positive bathroom, we chose a tea canister that we were no longer using, but you could use almost anything. It could be a basket, or a plastic container with a sealed lid. Or a bag that you hang off a hook on the back of the toilet door. A friend of mine says she needs to use something secure because she will walk into her bathroom and find pads adhered to the walls and tampons bobbing along in the bathtub (with little figurines riding them like horses). Some of her kids are still quite young, so she found a container that sits up high on the window ledge (and is difficult to open). So if you have little ones that are 'into everything' you'll need to think of a kid-proof location. Another friend has a toilet that is it's own room, and the hand basin is in the bathroom next door. So she has a sign on the back of the toilet door, telling girls that they will find period supplies in the bottom drawer in the bathroom, and to help themselves. Be creative and find something that works for you. It doesn't need to hold much as you can just restock it everytime you clean the bathroom! Now you'll need to add some supplies. There are many different types of period supplies available. It is a good idea to include some pads, as pads are what most girls will use when their periods first start. You can also add in some tampons as well. What sizes? Mini and regular will suit most girls. 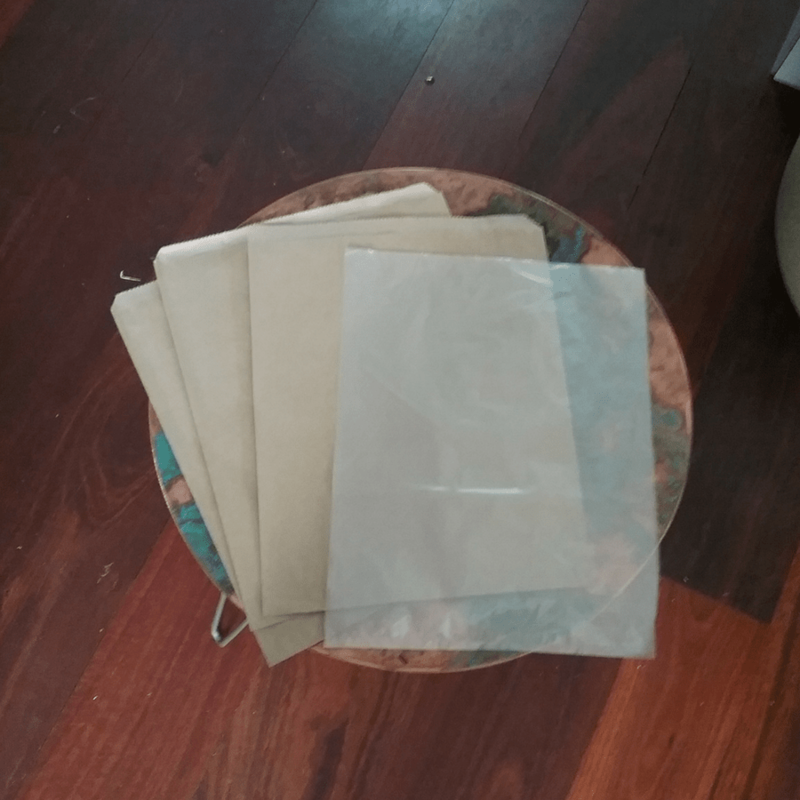 You can also add in bags for disposing used products. If you don't keep a bin in that room, you'll need to let them know where the bin is. We have a note inside our box, telling them where the bin is located. Currently, we don't have a bin in our toilet but it is something that we may add (once our dog has outgrown her puppy stage). 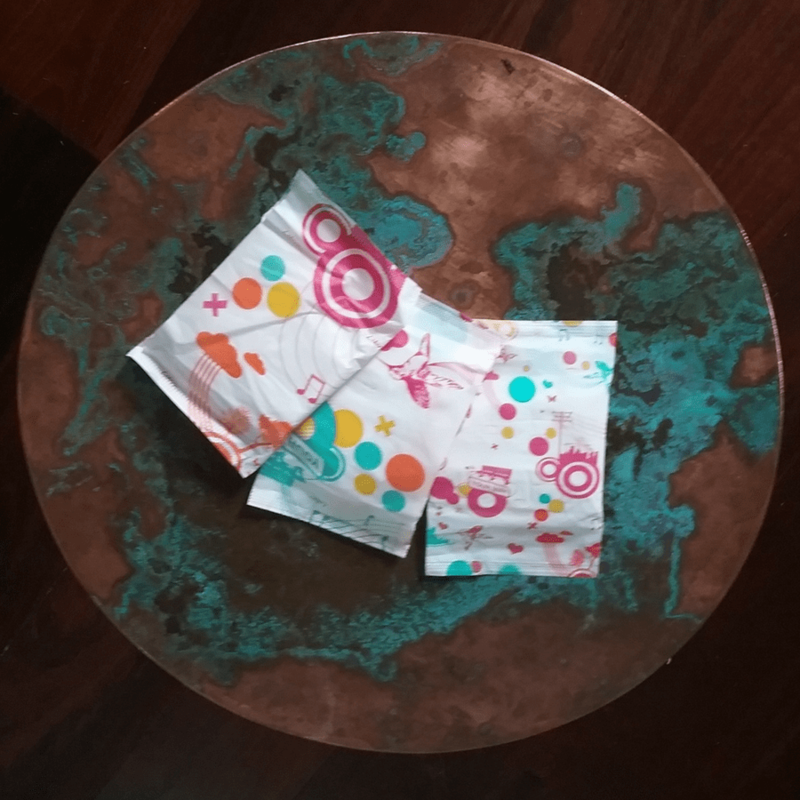 Having a bin in the room means that girls are less likely to flush their used products, as not all girls will have the confidence to walk out of the room, clutching a used pad, on the search for a bin. So we need to make it easy for them (or run the risk of blocked toilets). 3-4 of each item will be enough to include, in your period-positive bathroom. Girls can be shy about their periods, so we need to let them know that the period supplies are there to be used. So you will need to think about putting a sign up on the wall. You could put it up above the toilet or even behind the door. You can download a copy of the poster we use (down below), or ask your daughter to create one for your bathroom. So make sure you put up a period positive poster in your bathroom/toilet. Now all you need to do is place your container in the bathroom and you are ready to go! You'll just to make sure that you keep it stocked, and monitor what happens with the disposal. And that's it! 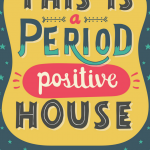 You've now made your house period positive just by this one simple step! You could also add some reading material in the room as well, about puberty and periods! There are lots of fantastic period positive books for girls. ​We can all make a difference! Something as simple as making period supplies easily accessible does help to remove the shame and secrecy around periods. So, why not empower the girls in your life by making your bathroom period positive?